Best of British - Part Three: Who's In, Who's Out? We've reached the end of this long weekend of time travelling merriment, and all that's left is to have a look at the surprise entries and omissions in the construct of 1950s Pre-Raphaelite history. 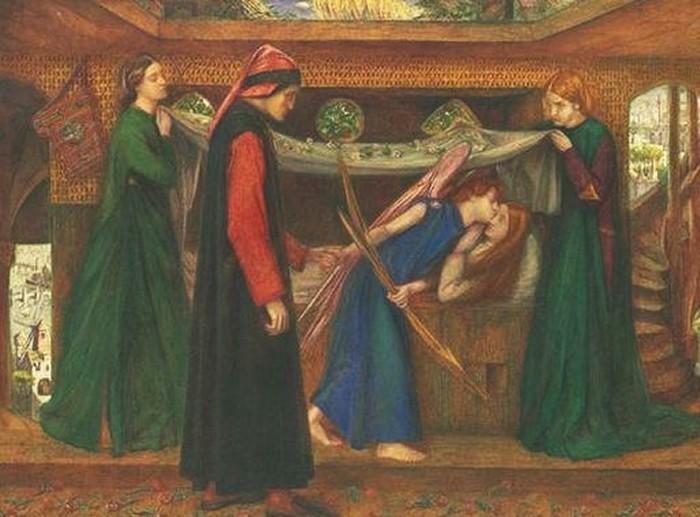 Yesterday, we were shocked and dismayed by the treatment of poor Ned Burne-Jones under the harsh scrutiny of Carlos Peacock (I do hope his middle name was 'The'). 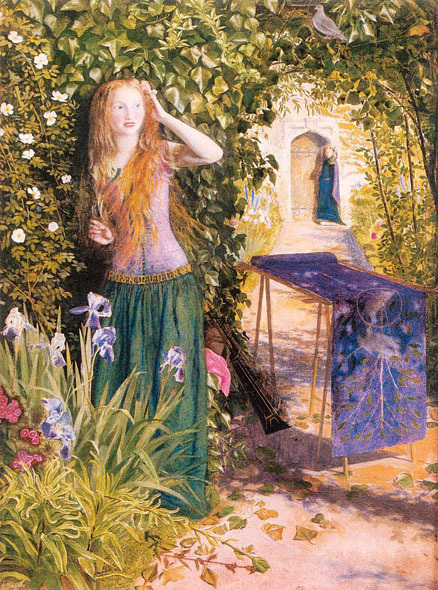 I can't imagine that Ned would be judged so sourly these days, his part in the whole Pre-Raphaelite tapestry is fairly well established, not only in personal terms, but in his contribution towards aestheticism while holding on to his roots in medieval romance. 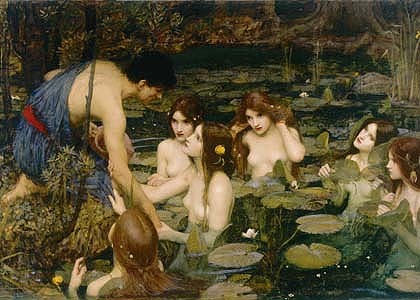 However, today is not about poor Ned, it's about those artists that Carlos Peacock considered to be Pre-Raphaelite who may not be considered so today, and those we hold dear today, but are missing from the 1950s catalogue. 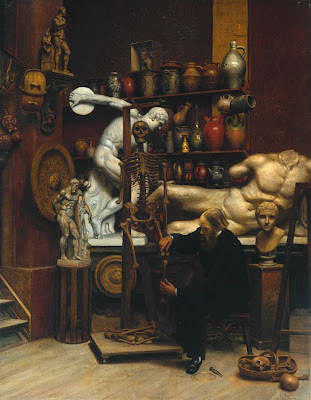 Mr Heatherley was the principal of an art school where Butler studied for a while and this picture shows the jumble of objects that were meant to teach the artists to be good little Academy members. 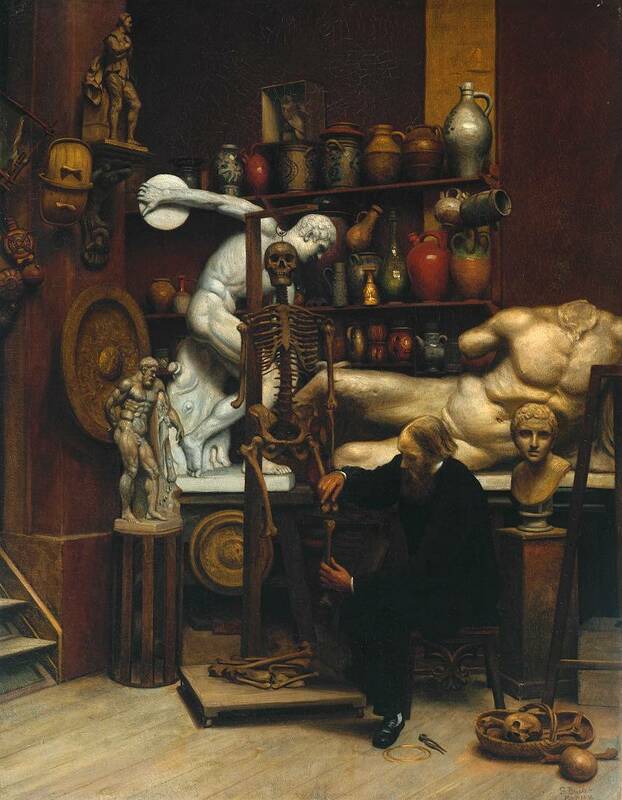 However, as Heatherley mends the much abused skeleton, something tells the viewer that Butler might be somewhat cynical of the system. 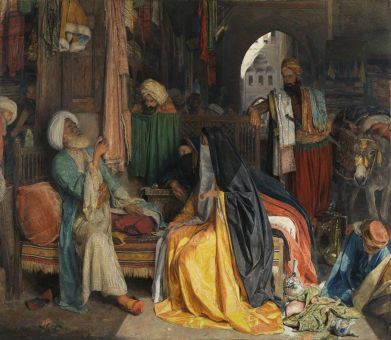 Again, I was not familiar with the picture, but I like it and find the over-packed still-life to be exceptionally well executed. None of which I was expecting to see in a Pre-Raphaelite exhibition, especially when other things are omitted, which I'll come to in a second. 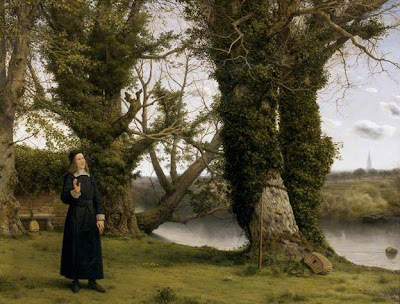 I was slightly less surprised to see William Dyce listed, but was surprised when it wasn't Pegwell Bay. 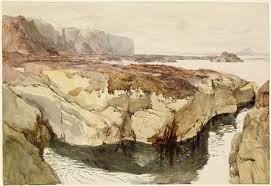 When I first started studying Victorian art, Pegwell Bay was one of those pictures that you are shown and you remember. This is rather bland, unless you really get excited about Anglican ministers in Wiltshire. Nice tree. So that is the 1951 exhibition. Mostly Hunt, Millais and Rossetti, with a certain amount of representation of others, but who is missing that we would unquestioningly accept as being Pre-Raphaelite today? If you Google 'Pre-Raphaelite' in images, this is the fourth picture offered, yet where does John William Waterhouse fit in our construct of what it means to be Pre-Raphaelite? 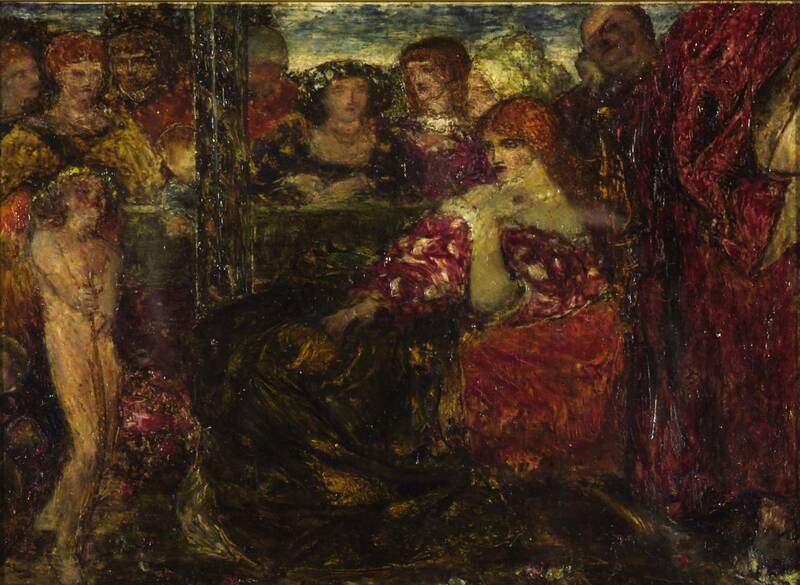 I will be very surprised if The Lady of Shalott doesn't get an outing as it has to be one of the most familiar pictures at the Tate. In terms of subject, his mixture of Shakespeare, Tennyson and Classics must be enough to assure him a place in the Pre-Raphaelite role call. 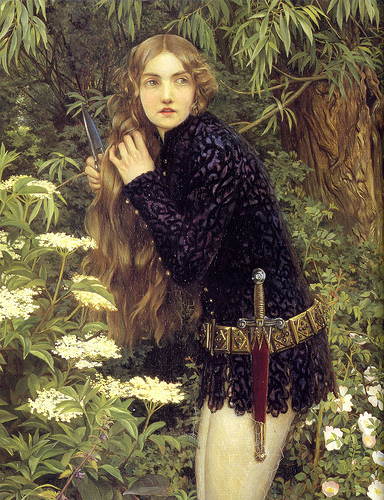 Similarly, wouldn't this count as Pre-Raphaelite...? Oh dear, that sound you just heard was Carlos spinning in his grave. 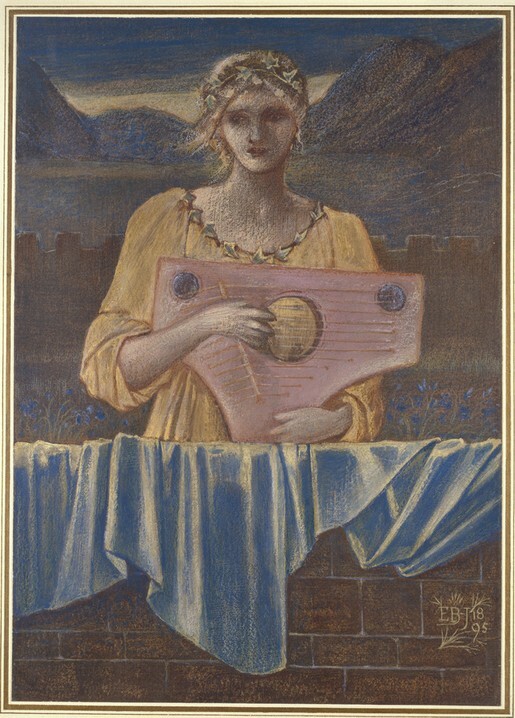 If poor Ned got a slamming, then I can't imagine Evelyne de Morgan would fare any better, but surely we consider her part of the second generation of Pre-Raphaelite painters, trained by Burne-Jones? Certainly her work is similar to his but the fresh colour palate is enough to mark her out as an individual. 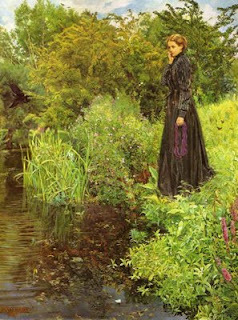 Look at the riverbank - she might almost be looking at Ophelia floating down past her. 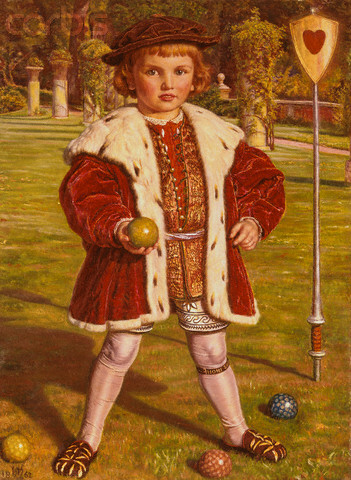 Byam Shaw is such an extraordinary artist, and so under used in exhibitions that it would be a shame if his work did not appear. 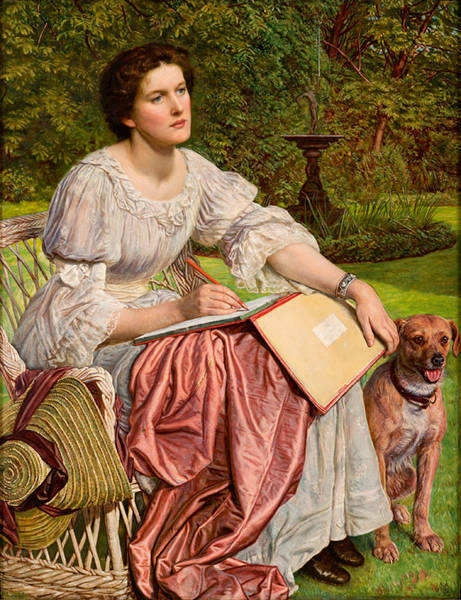 This is a classic piece of Pre-Raphaelitism, reminding me of early Millais or Hunt, the understated drama and mood-defining palate of colour. Likewise, Byam Shaw's friend, Eleanor Fortescue Brickdale (how excited am I by talk of the exhibition of her work coming down to The Watts Gallery at Compton?) 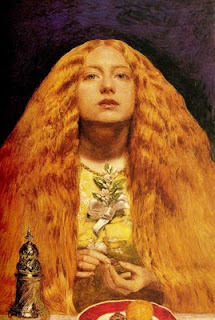 should deserve a mention for continuing the themes and methods of the Pre-Raphaelites into the twentieth century. 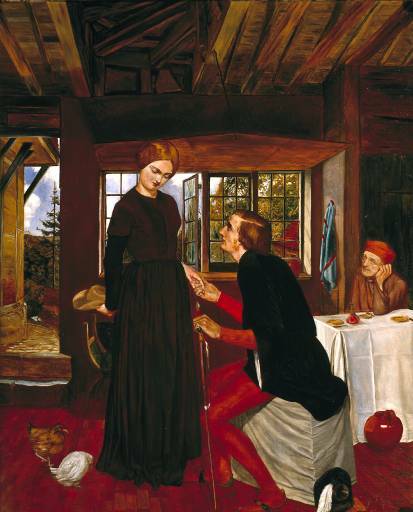 In fact, apart from Elizabeth Siddal, no women were in evidence in mid-century appraisals of the movement. With what we know now, taking into account people like Joanna Boyce, Louise Jopling and Lucy Madox Brown (and a host more) you would hope that women artists would be very much in evidence in the Tate show this year. When reading about the 1951 exhibition I began to wonder about the reasoning behind holding the exhibition and the choice of artists, and how that would play in the autumn. 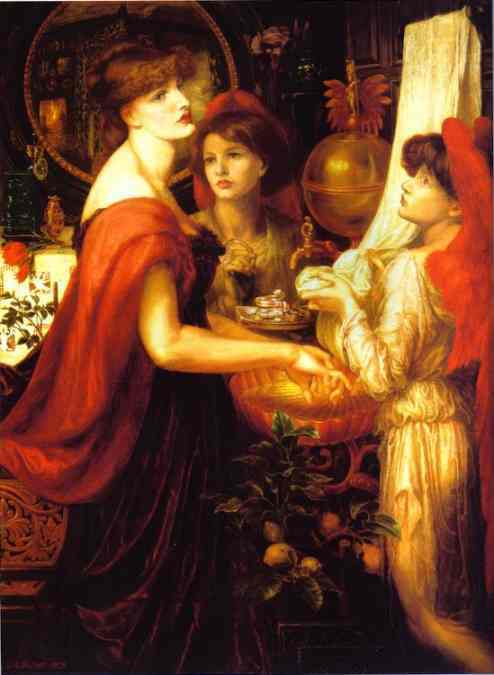 Maybe it can be argued that the Pre-Raphaelites were the first and possibly only British art movement (despite where they got their influences) and in a year where we celebrated nationhood, the vision of a group of British artists, following their own passionate vision in revolt of everyone else is the sort of Victorians we need to feel we come from. Post-War, the nation needed to feel there was a future, even in the vision of their past. Maybe this year we need a vision of our ancestors, not cosy and chocolate-box-y, but as revolutionaries, men and women who pushed boundaries, because that is what our country feels it does well. After all, this is the nation whose monarch sky-dives out of a plane with James Bond. 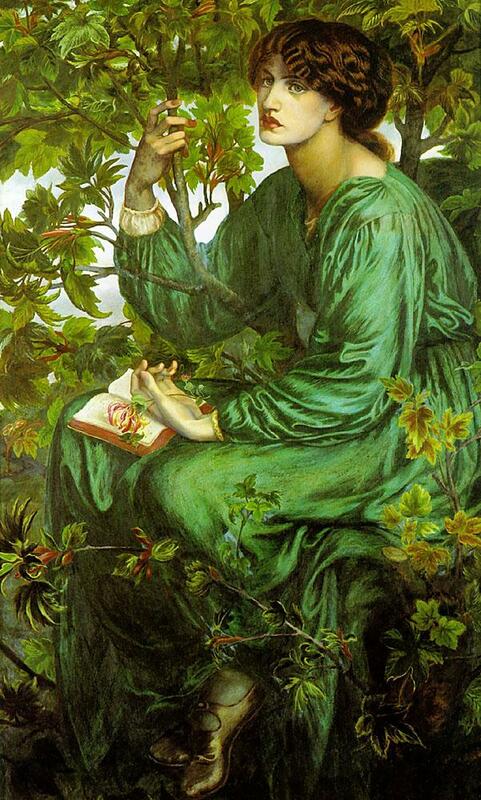 We need our artists to shake the establishment, and that is what our Pre-Raphaelite visionaries did. Roll on September. Or 1951. Whichever comes first. 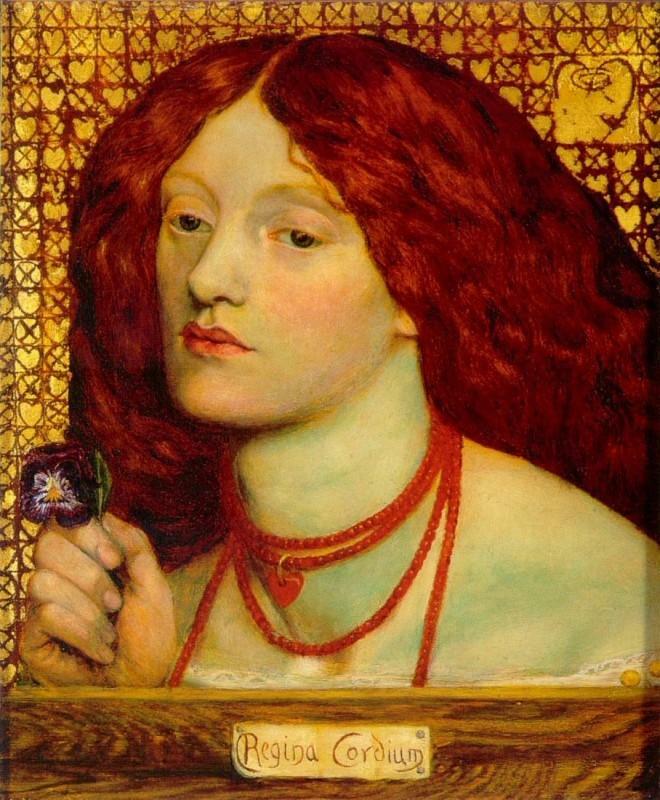 Welcome to Day Two, as we look at who else was included in the 1951 exhibition of Pre-Raphaelite art, held in Bournemouth as part of the Festival of Britain. 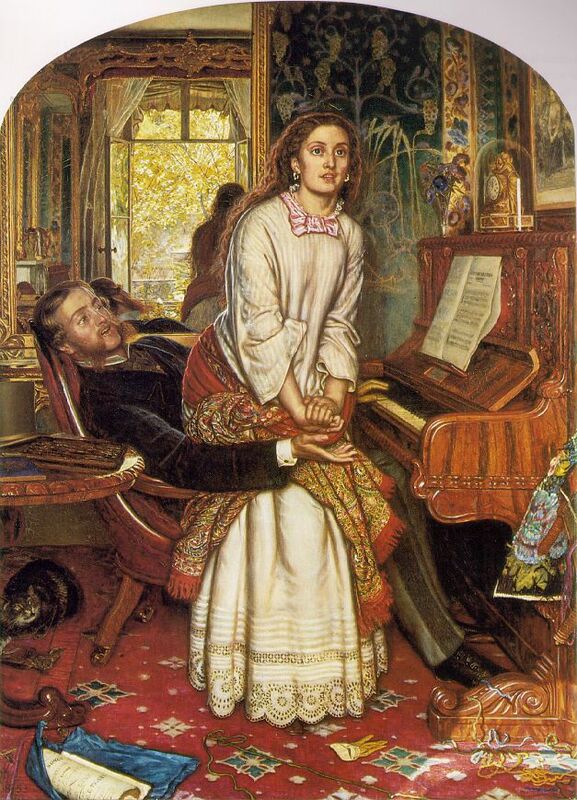 Obviously, the inclusion of Millais, Holman Hunt and Rossetti was given, as was Stephens and Collinson (being founders), but when you start picking 'followers' who do you include? As you might have guessed from Grace's comment yesterday, there is a bit of a shock, announced loud and proud at the beginning of the catalogue. Carlos Peacock, what a fabulous name, gave us the fact that 'in the past it has been customary to include paintings by Burne-Jones as examples of Pre-Raphaelite work.' Well, uh-oh, I feel trouble coming. 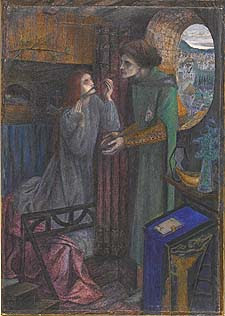 Burne-Jones is now unquestionably part of the Pre-Raphaelite story, but in the humble opinion of Mr Peacock, Ned symbolised 'the wan ghost of Pre-Raphaelitism', offering 'necromantic' 'bloodless aestheticism'. Meow. 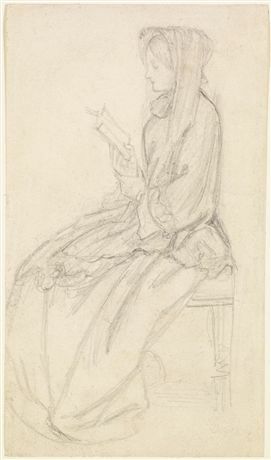 However, as he thought Ned was a pretty good draughtsman, he included a couple of his drawings. How kind. The inclusion of the two decent sized Hughes mark him as a man to notice, as does the mention of him in the introduction. His journey to the Oxford Union, together with his adherence to the Pre-Raphaelite cause make him a worthy inclusion, it seems. Arthur Hughes is definitely spoken of within the inner circle, and I can imagine that Ophelia, together with the almost certain April Love and The Long Engagement will be in evidence at the Tate. The latter two, with their clarity of colour and strength of emotion, are things of beauty indeed. If you remember my ramblings about mid-century Pre-Raphaelite appreciation, then I expressed shame-faced surprised at the inclusion of Elizabeth Siddal in the Pre-Raphaelite role call. It's not that I don't think she deserves the place, it's just that I was surprised she was allowed it in an otherwise male-dominated scene. 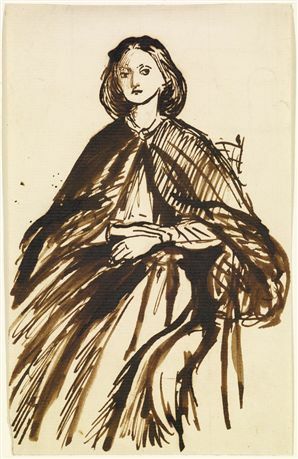 She appears in both the guise of Mrs Rossetti, the artist's wife and Miss Siddall, the artist, having her cover blown by the description of the pencil sketch for Millais' Ophelia which describes her as 'Elizabeth Siddall, afterwards Mrs D G Rossetti'. 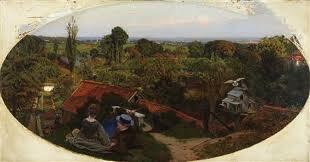 It is refreshing to have her presented as just another painter in the movement, rather than 'poor Lizzie'. There isn't even a mention of her death! Can you imagine? 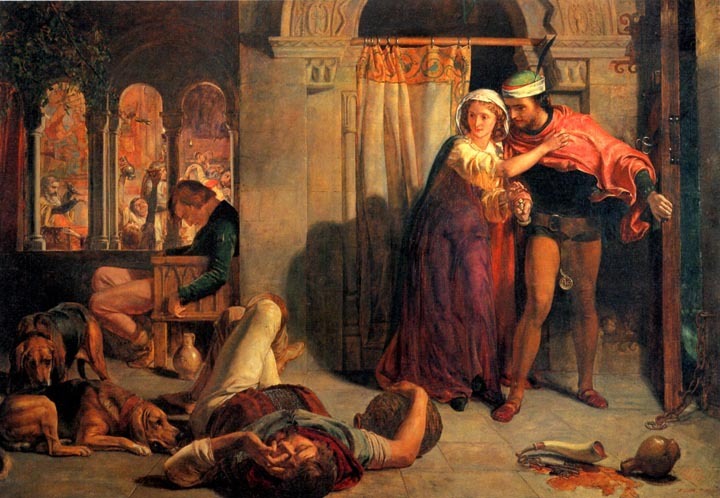 This was painted in Holman Hunt's studio, and is taken from Dickens' The Old Curiosity Shop. 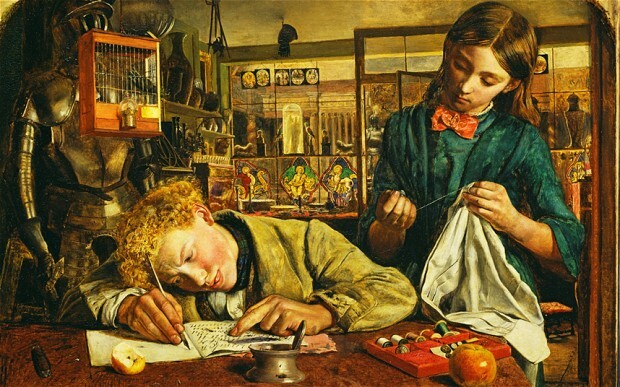 Although I love Martineau, I always put him firmly in the traditional Victorian art camp, rather than Pre-Raphaelite, but his detail is exquisite and his light is clear. I hope there is some Martineau in evidence this autumn as I need to know more about Martineau and his connection to Hunt. Plus any man who can paint a lovely shiny apple like that is okay by me. Because Mr Walker knows how to show a lady a good time, he brought me home a copy of a Pre-Raphaelite exhibition catalogue the other night. This was no ordinary catalogue, not at all, this was a special exhibition, celebrating the best of an extraordinary British art movement during a year of national festivity. Sound familiar? Yes, well, sadly this was not the Tate's upcoming exhibition catalogue (Sigh! Can you imagine how delicious that will be? ), instead it was from a 1951 Bournemouth and Wessex Festival Pre-Raphaelite exhibition, as part of the Festival of Britain. Now, you know me, I love to read mid-century opinion of Pre-Raphaelite art as it is often so contrary and harsh. No aspect of Pre-Raphaelitism was safe from criticism and the lack of fawning respect (just because something is old) is refreshingly honest. When art historians and curators of the time bothered to turn their attention to Millais and the crew, they were addressing the unfashionable, the reviled, the stuffy, morbid, cloying Victorian nonsense. 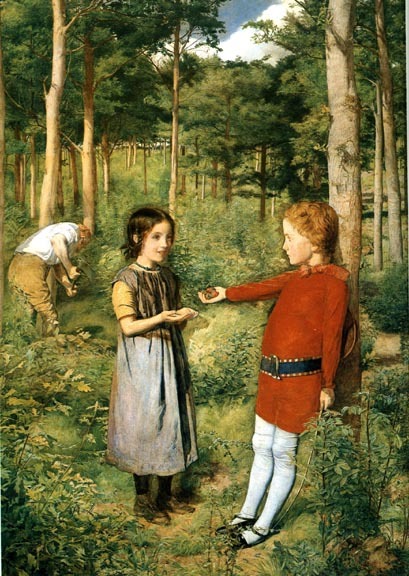 So why did the good people of the Bournemouth choose to celebrate Festival year with the Pre-Raphaelites? 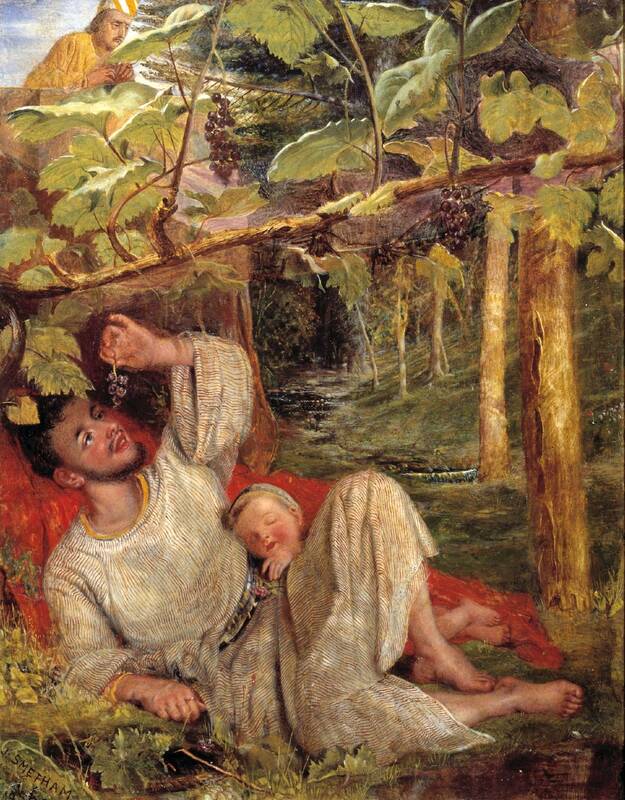 Does it tell us anything about why the Tate are doing the same thing 61 years later? Gladys Holman Hunt married Henry Michael Joseph, an opthalmic doctor, in 1918, and lived in London but Peacock sought her out for the wealth of information she could provide. 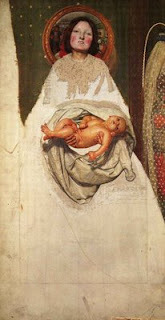 Together with her daughter Elizabeth, they allowed family pictures to be displayed, and information about not only Holman Hunt, but also the founder members of the Brotherhood to be shared. Gladys died in 1952, so it is a bittersweet thought that her knowledge was called upon just in time. Of the 106 items shown, 18 of them came from the Tate, but Ophelia, possibly the best know, arguably the greatest, Pre-Raphaelite picture, was not one of them. In lieu of it came the almost-as-famous sketch, which is beautiful and almost photographic, but not the same. 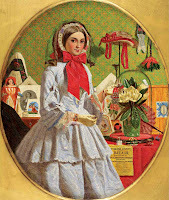 Looking through the entries in the catalogue I can't see any other notable omissions, but as I intend to go through them with you over the next three days, you can shout when you see something missing. Today we will start with the actual Pre-Raphaelite Brotherhood and their part in the 1951 construct of Pre-Raphaelite art. Interestingly, Peacock emphasised the contribution of the other brothers, William Michael Rossetti, Thomas Woolner, F G Stephens and Charles Collinson, in the introduction and some of their work is featured in the exhibition, as you would expect (except William Michael Rossetti, who was more Treasurer/Secretary/The One With A Proper Job), but Woolner is omitted, but then the works included are only two dimensional. At the time this was still owned by Sir Colin Anderson (who presented it to the Tate in 1976) and the title in 1951 was The Awakened Conscience and the catalogue mentions that the face was repainted from the original unnamed model, although it is not hung together with The Light of the World as originally intended. The Tate website suggests that reporters ignored the spiritual message of the picture (especially when put in conjunction with The Light of the World) and just concentrated on the sensational aspects of the drama, and the 1951 catalogue is no exception. The Eve of St Agnes is cited as a pivotal picture for the history of the PRB as it allegedly brought Rossetti to Hunt, and therefore to Millais, starting the whole shebang up. London Bridge is evidence of Hunt's skill at the minute rendering of detail. 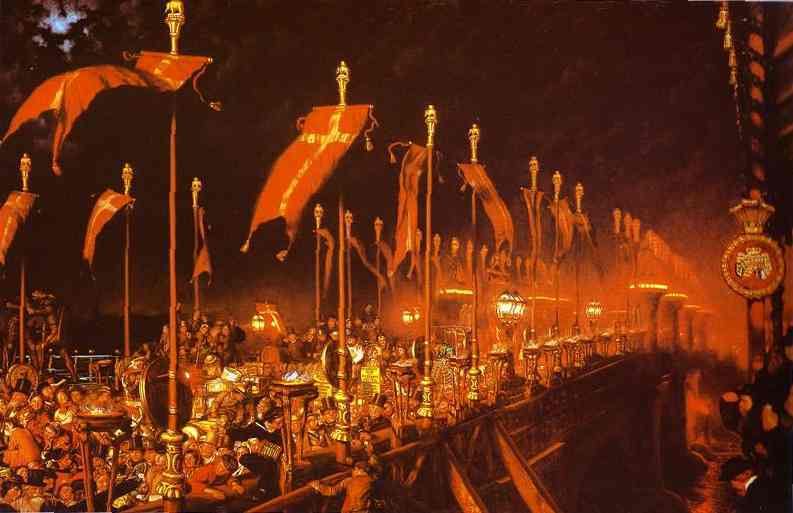 The scene is of London Bridge after the wedding of the Prince of Wales to Princess Alexandra. When the Prince viewed the painting, he correctly identified one of the tiny figures who had posed with his back to the artist. Mind you, as the catalogue points out, Hunt's eyesight was so good that he could see the moons around Jupiter without a telescope. Now that's just showing off. 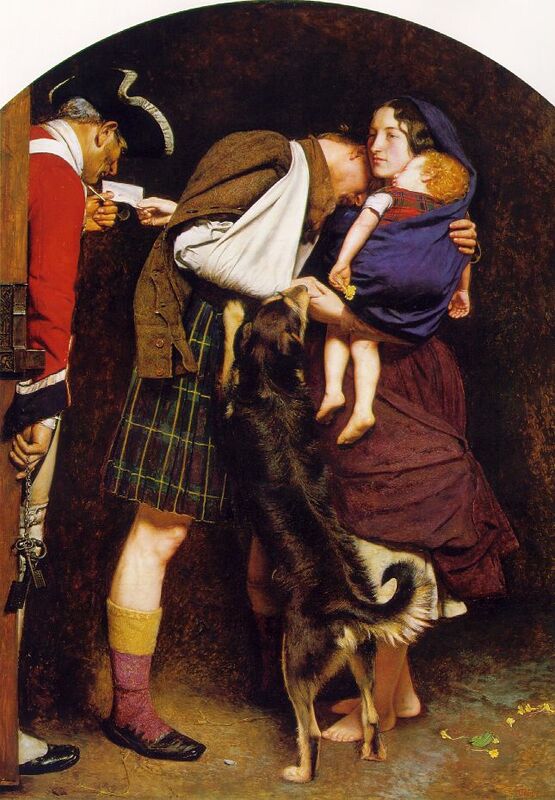 Millais is given slightly shorter shrift. Anyone who had the pleasure of seeing the Tate's exhibition a few years back was left in no doubt that although his subject matter changed, his ability to render even the most revoltingly cute child into art was astounding. Nowadays, it seems that we judge Millais as being the talent of the operation, the child prodigy who gave Pre-Raphaelitism the legitimacy and edge that keeps us talking today. 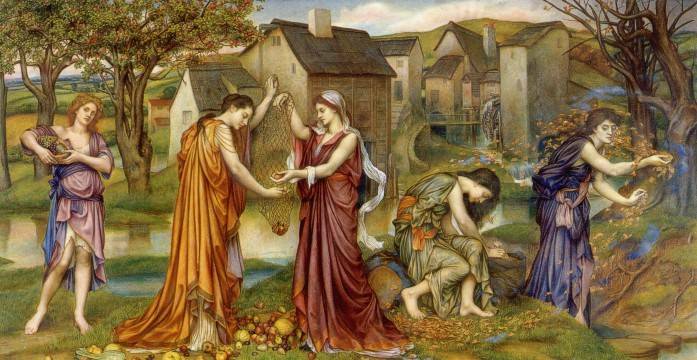 Without the punch of Ophelia, what's left? My love of The Bridesmaid is well known (although I didn't realise it was known as All Hallow's Eve for ages), and The Woodman's Daughter is pretty special, but the inclusion of The Order of Release enabled the catalogue to speak of Mrs Ruskin without having to mention the whole messy marriage business. Consider how utterly obsessed we are by it now, with two films in the pipeline and Desperate Romantics lingering on the subject. 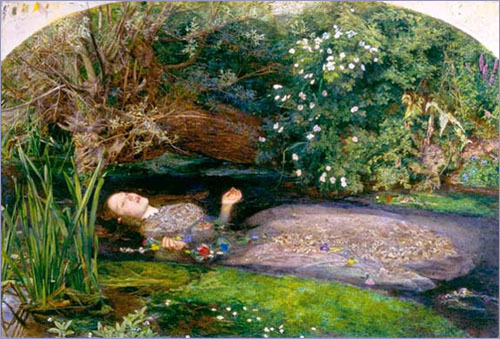 Maybe Millais suffers from a suspicion that his career had a highpoint with Ophelia then he deflowered Mrs Ruskin and it all went down hill. Poor Effie, she is the Yoko of the PRB. 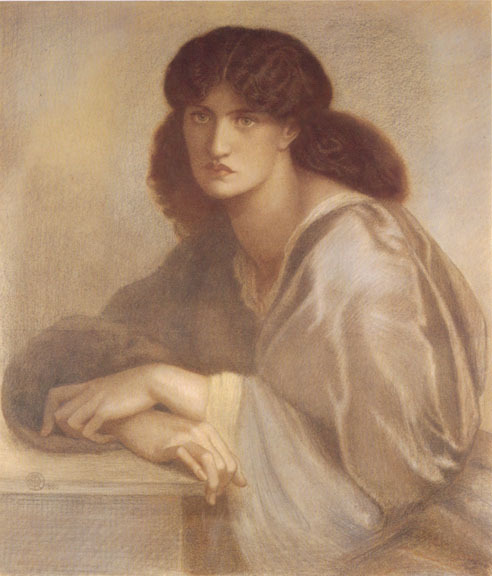 Now, before you think that the only way Lizzie will appear is as Rossetti's wife, fear not, she'll be here again tomorrow, but as the model to all three of the Brothers, she gets featured quite heavily. In that amazing pencil sketch of her 'Ophelia' face, and as the original Sylvia in Hunt's Two Gentleman of Verona (the sketch is featured, however I couldn't find an image of it), Elizabeth Siddal (spelt 'Siddall' in 1951) is present everywhere. 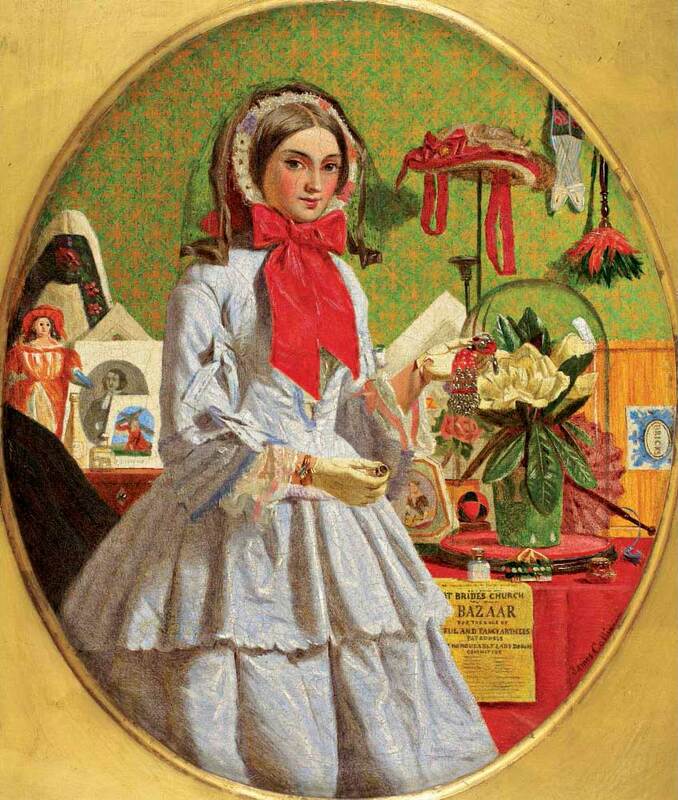 I was pleased that there is no lingering on her death, unlike today's rendering of the poor woman. Really, do we just condense them down to death and virginity? How depressing. Before I leave you for today, The 1950s insist I include Ford Madox Brown in this discussion of the first generation of Pre-Raphaelites. Brown is a difficult figure to fit into the narrative (yes Desperate Romantics, I'm looking at you again) but Carlos Peacock cites him as the original Pre-Raphaelite, taking inspiration from the Nazarene school of art (who he claimed were pre-Raphaelite in style and aim). I purposefully left the exclamation mark off of Take Your Son, Sir! as that is how it is in the catalogue, and the accompanying text doesn't say anything about illegitimate children. I need to research further, obviously, but do we know for definite that Brown intended it to be about a woman accusing her seducer, or could it just be a woman presenting a man with his son? Tell's Son is the author Ford Madox Ford, who was Brown's grandson. Ford Madox Ford is not so well known these days, but I suspect that might change after the BBC show an adaptation of his novel series Parade's End staring Benedict Cumberbatch in September. 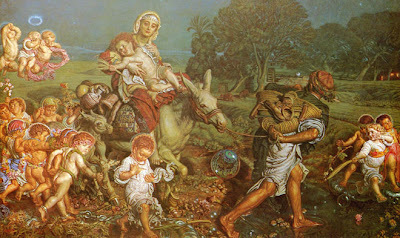 I look forward to seeing how the Tate handle Ford, because I know they have borrowed Work from Manchester. Ah, there you go, Work is missing from 1951's exhibition, again I would argue, like Millais, it seems a pity to miss out what could be the artist's key work, but you can only borrow what you can borrow. I've been thoroughly delighted by a new book this week - no, not Fifty Shades of Grey (although I have read that, Heavens to Betsy!) but a rather lovely little book called The Charm of Rossetti. So we're looking for a green that is pure, light and warm then. Not asking for much. He did love green, and the later you get, more there is. You could argue that an awful lot of his early work shows women in blue, signifying the Virgin Mary, holiness, purity, but then he moves the shade to green, a sea-green filled with light and depth as the folds envelop the figures. 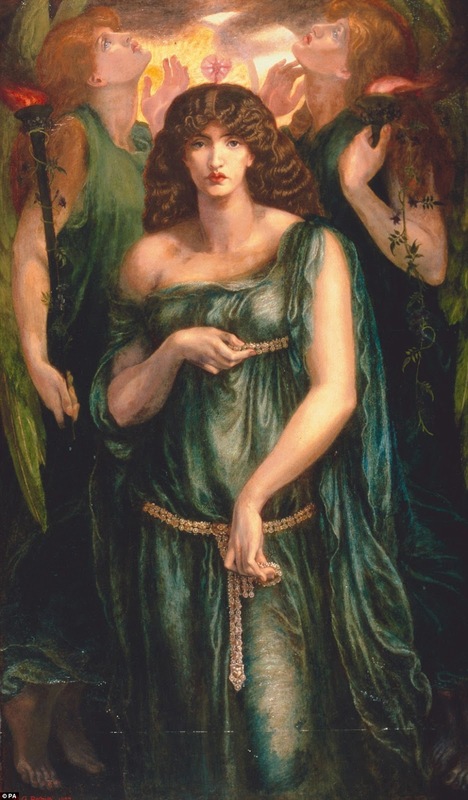 For Rossetti, green represented 'hope', which I think is both telling and sad, as that was obviously what he clothed his women in. His green at this time is pure, forest-y and deep, but I suspect when talking about his favourite colours, he might have meant the green he moved to in later life, as seen in The Daydream and Astarte Syriaca. 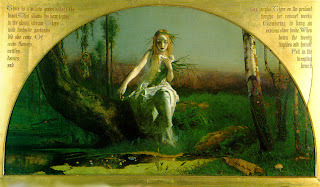 Especially with Astarte Syriaca, the move to a water-green is linked to Jane. 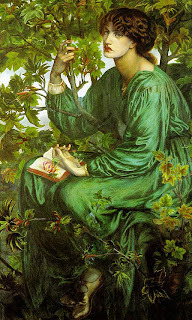 Maybe this green was toned to compliment his vision of Jane, to highlight the pale marble of her skin, the chestnut hair, the grey of her eyes. 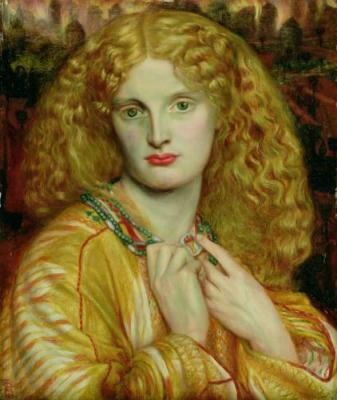 Obviously his other model of that time, Alexa, looked good in green, being a redhead, which echoed his original use of it with Lizzie (as seen in Beata Beatrix). 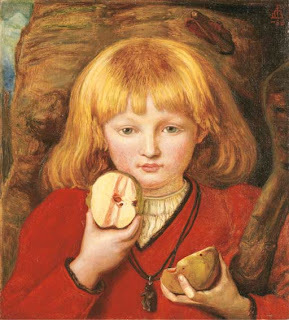 The interplay of red and green is key to Rossetti existing where it shouldn't, quietly whispering in the background when it wasn't shouting in the foreground. His love of green, for me, is a natural by-product of his love of red hair. 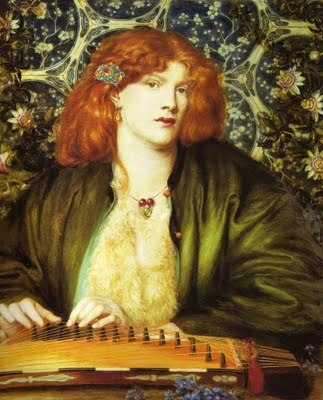 Maybe the love of red hair came from his love of green? This is the purest expression of gold I can imagine in Rossetti and possibly explains why he didn't use it so unreservedly on a regular basis. If you take the standpoint that he felt colour had meaning, then it's easy to imagine that gold for him meant 'dangerous beauty' or 'irresistible destruction'. When he spoke of his love of gold early in his career, Rossetti allied it to holiness and beneficence. Halos were gold, the Holy Virgin had highlights of gold about her. 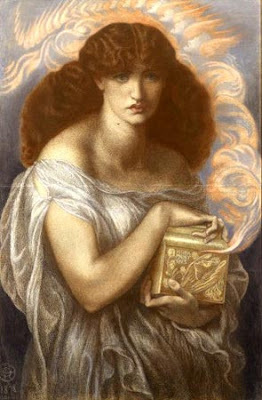 Then came Pandora's box and Helen of Troy and the colour changed in meaning. It's not 'the bad colour' (to quote The Village) because Rossetti is not a blaming type of man, but it does act as a warning that you are messing with forces that will consume you. My favourite of his categories has to be 'certain tints of grey'. Well, thanks a lot, nothing vague there then. 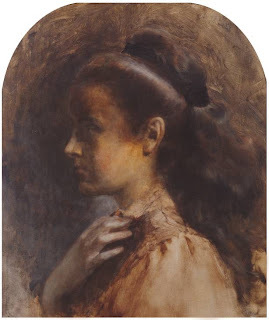 First thing that comes to mind has to be the charcoal greys of his chalk drawings, the smoky beauty of his pictures like La Donna della Finestra from 1870. The eyes of so many of his models were grey-blue, as were his own, and maybe this is why he loved the shades of grey so much. I do struggle with finding grey as a dominant presence in his work outside chalk, but it is there, in Jane's eyes and back lighting the green drapery. 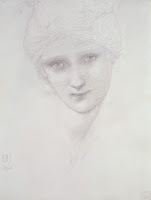 The strength of his pencil work shows the shades of grey to their maximum power and I found it a revelation that possibly Rossetti valued his preparatory sketches as much as I do, that he realised just how amazing his line drawings were, sometimes much better than the finished painting. 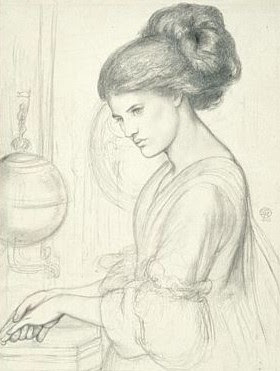 For me, the pinnacle of his 'grey work' was possibly the delicate drawing for Washing Hands. 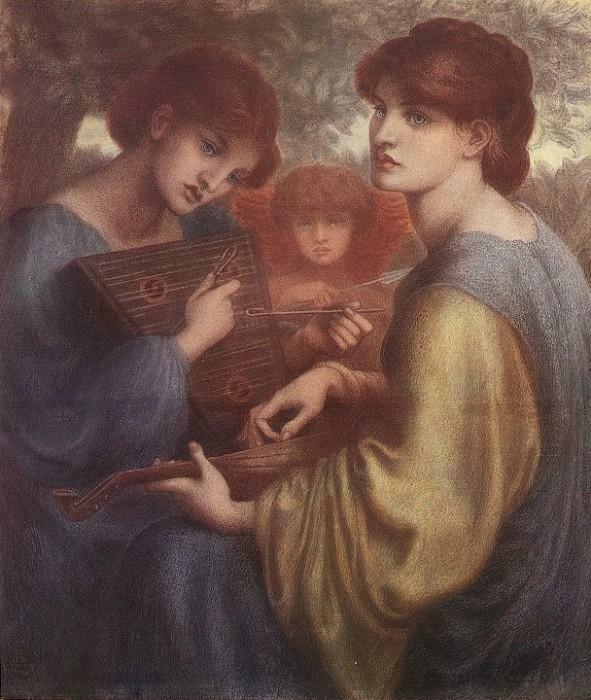 Steel blue is awfully close to grey, Rossetti, thanks for that. The above sketch for Bower Meadow could equally be steel blue rather than grey. Possibly the blue of Jane's dress in her portrait and Mariana is 'shadowy'..? 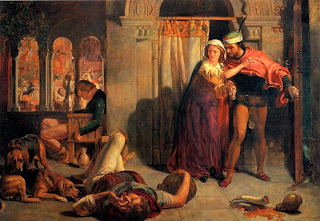 Also present in Bruna Brunelleschi (1878) and in the robes of Dante in the 1871 version of Dante's Dream shades of deep blue occur less regularly that green or red. There is something that draws you into that deep blue silk, something you can lose yourself in, it's magical, only serving to highlight the hard pale pink of Jane's skin. She's a goddess in a dress as deep as eternity. No wonder he worshipped her. 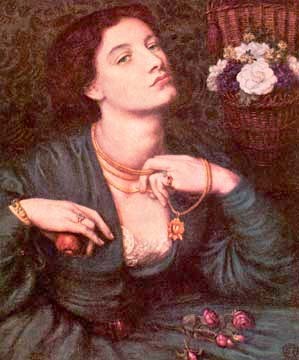 We're on simpler ground with the browns of Rossetti's work. For starters, Jane's hair has glimmers of fire shot through it, and the wood that furnishes his luxurious interiors has a mahogany glint in the candle light. It could be that Rossetti was referencing Titian, and his method of painting over a red (rather than the PRB white) base in his back-lit browns. I was surprised to find missing from the list 'pink', but possibly that's far too girly to say to your painting mates. 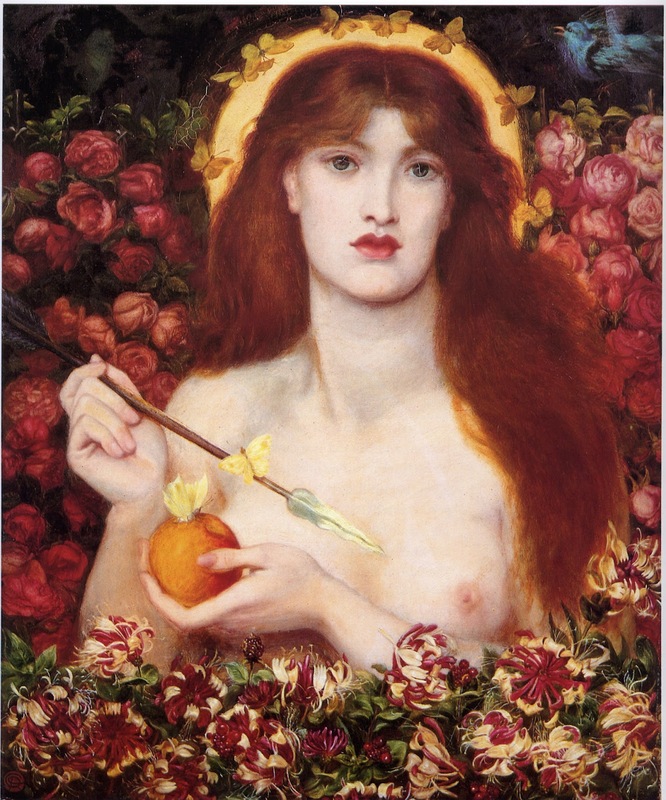 In his treatment of flesh and the blush of petals, Rossetti excels, giving us the innermost heat of Fair Rosamund's cheek, the apple blossom of The Vision of Fiammetta and the riot of roses behind Venus Verticordia. 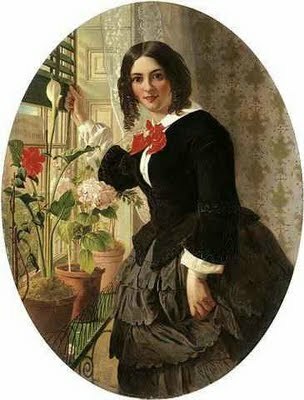 Similarly, the gentle creams of skin, silk and linen lends peace to otherwise fevered passions, contrasting the reds and greens, breaking the intensity to lend balance. 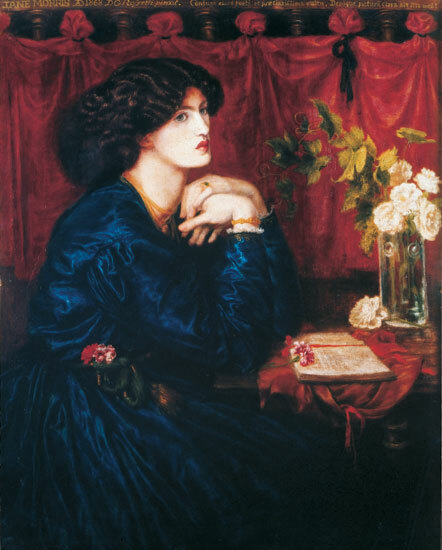 As a colourist, Rossetti excels, but his ability to see emotion, sound, and feeling in different colours lends a depth to his work that could be easily overlooked. 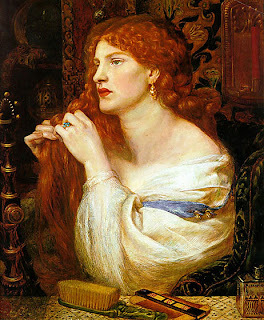 Although his images of beautiful women seem to lack narrative, their aesthetic souls without subject, woven into their being is all that Rossetti felt, that he heard in the rustle of their gowns, the brush of their long hair, and all of this is lovingly recorded in a picture-poem to the women that he loved.